10 skills for Pre-K are examined and 10 skills for Kindergarten. Before a child enters school he or she may be expected to know and possess certain skills. Knowledge of the alphabet (and the sounds they make), recognition of numbers, recognition of shapes and the ability to write his or her own name may ALL be things your preschooler is expected to know before entering kindergarten. You can help to ensure that your child has exposure to certain concepts before he or she enters school. My child knows all the letters of the alphabet and many of the sounds they make. My child shows an interest in reading and picks up books as if to read, even if he or she is not yet able to read. My child is able to write or draw the shapes of a circle, a triangle, a square, and a rectangle (this is a precursor to writing because many of our letters incorporate circles, lines, etc.) and my child can write some of the letters of the alphabet (e.g. My child can write his or her name). 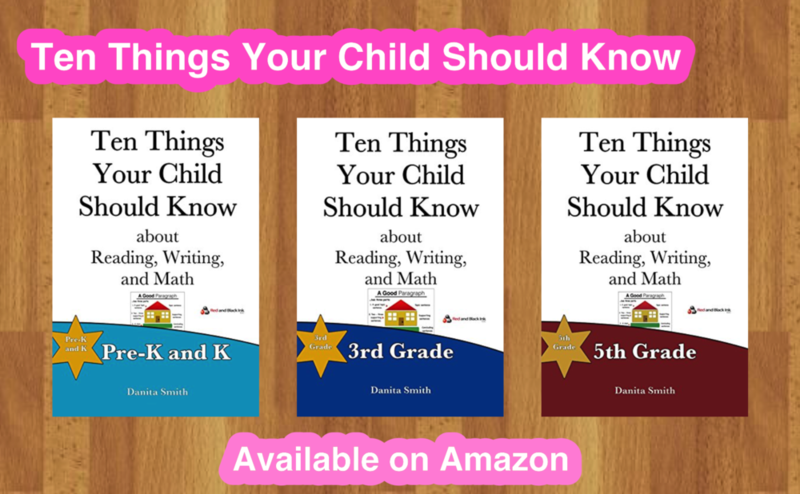 Our book, Ten Things Your Child Should Know about Reading, Writing and Math: Pre-K and K, offers lists of skills and activities you can do with your child to support him or her in this grade (available on Amazon). In kindergarten children begin to read more three-letter words and will have stories regularly read to them in class. They will begin to count higher and will be introduced to addition and maybe subtraction as well. This will be the first time some children are away from their parents, in a school setting, for long periods of time. It is important to set the expectation that education is fun and that you will be involved in their education for the rest to their lives. My child can count to 30 and clearly write each number. My child recognizes the word names for the numbers one to twenty (i.e. “one,” “two,”….“eighteen,” “twenty”). My child can complete basic addition and subtraction problems where the answers equal the numbers 1–9. Our book, Ten Things Your Child Should Know about Reading, Writing and Math (Pre-K and K), may be able to help you guide your child's development of these skills.